I had a meeting with a client today, so I decided to wear this shirt dress that was light for the Summer weather (although not so much for the color) and was polished for a semi-formal work outfit. 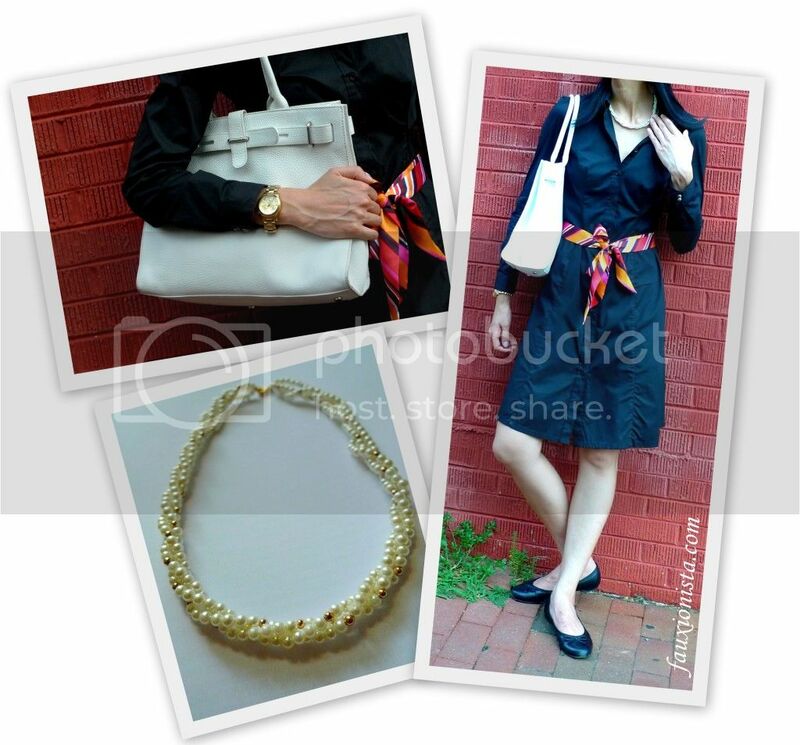 This entry was posted in Fashion, Outfit and tagged black, Boston, color, Esprit, gold, Michael Kors, outfit, pearls, Second Time Around, shirt dress, vintage on July 25, 2012 by fauxionista. I went to pick up the little something that I purchased last week during a promotional event from Neiman Marcus and decided to wear one of the sundresses that I have. The main piece for the outfit was the dress and the rest just came along as I dressed up to head out. Curious to know what I picked up from the promotional event at Neiman’s? Its a black box! That’s all I am posting for now. HAH! Yes, the frugalista in me splurged and indulged myself with a Chanel and I am totally doing this on purpose to keep you in suspense! Teehee. 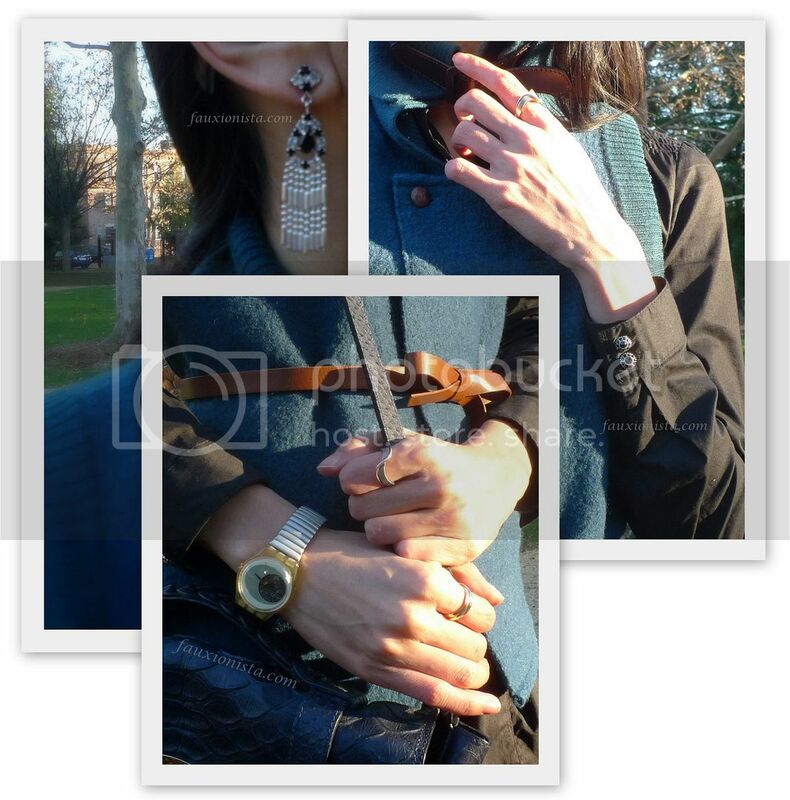 This entry was posted in Fashion, Outfit and tagged Banana Republic, Chanel, Esprit, Forever 21, H&M, Little Stam, Neiman Marcus, outfit, ZARA on September 2, 2009 by fauxionista. Casual outfit for running around campus and getting some errands done. 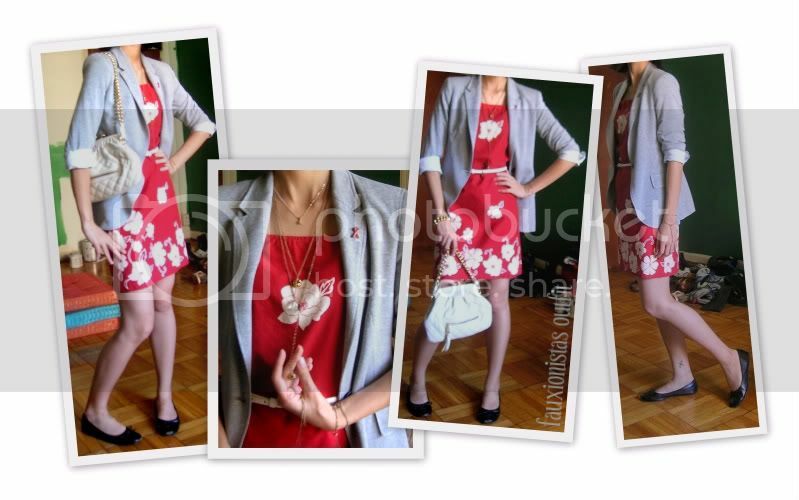 This entry was posted in Fashion, Outfit and tagged Banana Republic, Casio, Esprit, gold, H&M, heels, Little Stam, Marc Jacobs, outfit, purple, ZARA on May 17, 2009 by fauxionista.